We met John and Carol in 2006 and they were a young family of 4 running 2 small businesses. Low liquidity – they couldn’t access cash easily and they were constantly robbing Peter to pay Paul. Profitability of business assets – clients were unsure whether to sell, hold or continue acquiring more businesses. Some assets were not tax effective and were underperforming. They also held very few liquid assets and hence needed some diversification. Loans for business purpose were not being paid by the business. Asset protection – they were running 2 high exposure public businesses, with no consideration given to asset protection. Despite all of the issues above, they wanted a new home, to build a holiday home, car upgrade, to reduce debt, to set a retirement plan, have an additional child, prepare for children’s education and find more time for each other. Before we met, John and Carol were driven to create wealth at a significant cost to their sanity and lifestyle. Through the financial planning process they have realized that strategic advice and analysis of assets can better manage this balance. They have peace of mind that a team of advisors understand their needs and ambitions and will be there to provide strategic advice, support and accountability into the future. They now clearly differentiate their business and personal cash flows. They are being paid as PAYG employees and have setup an income streaming arrangement to their new investment trust. They now pay regular PAYG. This means no unexpected tax bills at year end and more efficient use of their cash flow. They have liquidated an emotionally held asset (property) which has allowed them to extinguish some high interest debts and improve cash flow. They now have great cash flow in their business and personal lives. They have restructured and dramatically reduced their liabilities and these are now being paid from the correct structures. This has reduced the risk and stress of their position. Before planning, they were questioning the value of holding onto some business assets. Through the process of simplifying and maximizing their position they have realized that the businesses are strong cash flow generators and it is this cash flow that will allow them to build their overall position into the future. The construction of their holiday house is now conceivable and they have moved to a larger family home. They have travelled overseas and welcomed a third child to the family. They now have a fully implemented personal risk strategy, which ensures that their plans continue in the event of illness, injury or death. 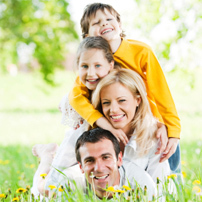 Their estate planning ensures the right assets go to the right people at the right time. Wealth Accumulators make up approx 50% of our clientele. They have a lot on their plate and many competing goals for every dollar they earn. We believe it’s the make or break time (age 30-50) and setting the right foundation is paramount. Accountability is the biggest value we add for these clients and keeping them updated with their overall position and reporting whether or not they are on track to achievement of their short and long term goals.